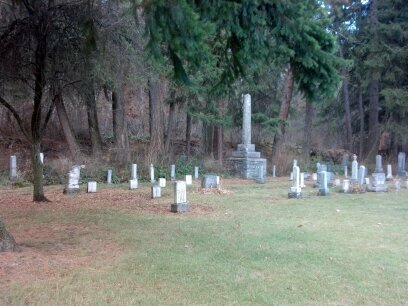 Organized on May 11, 1888, Greenwood Memorial Terrace is the oldest of the community cemeteries in Spokane. It is also the most extensive, encompassing one hundred and sixty acres divided into three levels called "terraces", the Japanese cemetery, called the "Bench," is located on the second terrace and includes some of the oldest burial areas of Chinese and Japanese in Greenwood. Along the hill behind the Japanese cemetery there used to lay a Northern Pacific railroad track and tunnel that had been built in 1910, though they were filled when Expo '74 rerouted the railway line. In this same area there used to be a Chinese cemetery, though that too has since been moved. 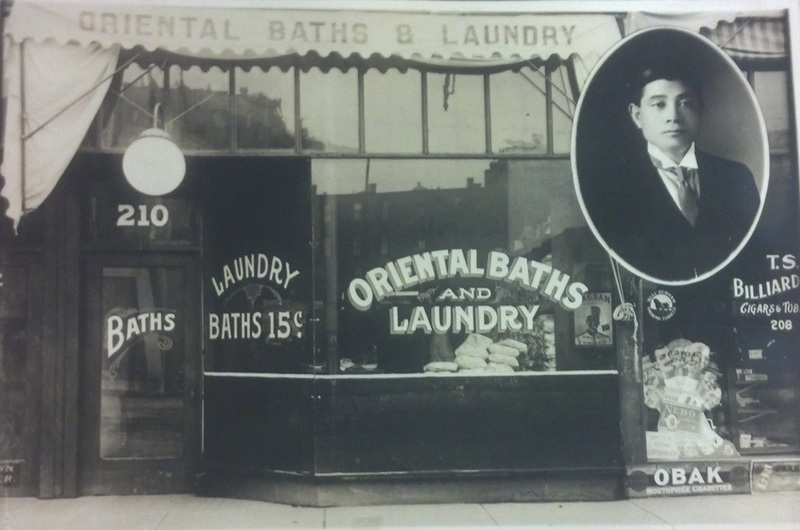 Chinese workers first showed up in the Spokane area as early as the 1850's and large numbers worked in the local mining and railroad industries. However, Chinese were not allowed to be buried in the same cemeteries as Caucasians, so the Chinese workers were required to have their own. They weren't given headstones, many weren't put in caskets and their names weren't recorded in the Greenwood records; they were only listed as "Chinaman." By 1906 many Chinese had moved out of the area due to difficult conditions, and Chinese fraternal organizations sent groups to disinter their countrymen, put them in caskets and return them to China. The Japanese community was received better than the Chinese, and their cemetery still exists today in two different locations at Greenwood. 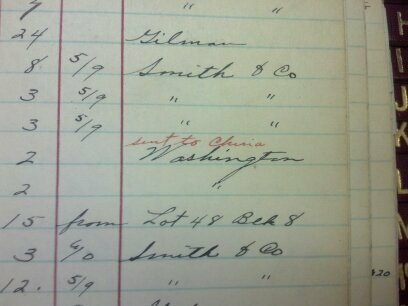 There were some Japanese in the Spokane area in the late 1800's, but by 1910 there were more than 1000 Japanese in Spokane. Their numbers declined through the Great Depression, but rose again during WWII as families relocated to the Spokane area to avoid internment camps, since Spokane was outside the boundary line. To avoid prejudice the Chinese population in the area had faced, the Japanese made sure to include the word 'Japanese' in English on their headstones to keep people from desecrating them. The earlier tombstones tend to look like little obelisks and most have vertical kanji writing. The large Japanese shrine in the cemetery was installed around the turn of the century, and is still used in current Japanese ceremonies to honor the ancestors. There is a newer Japanese cemetery on the terrace above the Bench terrace, called 'the Top". There you will see memorials to those who fought and died in WWII as well as those commemorating the Japanese community in Spokane. The newer Japanese cemetery is more elaborate than the older one, with cherry blossom trees, decorative gardens and a columbarium. Japanese Cemetery: The Japanese Cemetery at Greenwood Memorial Terrace. Photo courtesy of author. Cemetery Records of Chinese: Greenwood Memorial Terrace records documenting the removal of Chinese bodies to be sent back to China. Photo courtesy of the author. Greenwood records of Chinese: Greenwood Memorial Terrace records from 1895 showing the removal of Chinese bodies to be sent back to China. Photo courtesy of the author. 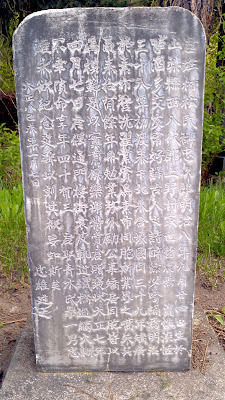 Tombstone of Tadajiro Muramatsu: Tombstone of Tadajiro Muramatsu, japanese businessman, written entirely in kanji, at the Japanese Cemetery in Greenwood Memorial Terrace. Photo courtesy of Larry Cebula. Greenwood Memorial Terrace Japanese Cemetery: Overshot of Greenwood Memorial Terrace Japanese Cemetery taken in 1913. Photo courtesy of MAC L2003-11.50. 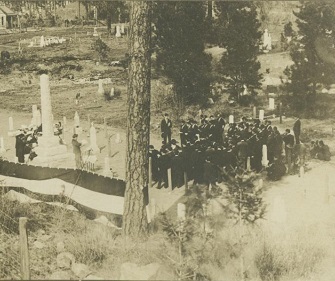 Nicolette Reames, “Greenwood Memorial Terrace Japanese Cemetery,” Spokane Historical, accessed April 19, 2019, https://spokanehistorical.org/items/show/399. Caskey, John. A Guide to Spokane's Historic Cemeteries (Gray Dog Press, 2012). Cebula, Larry, from the Northwest History website. "Deciphering a Mysterious Headstone," available at http://northwesthistory.blogspot.com/search?q=Japanese+headstone. 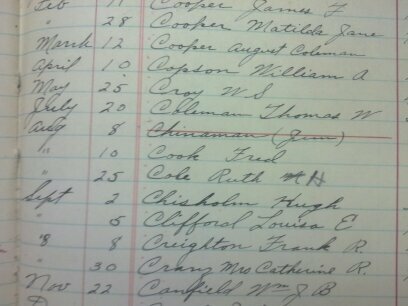 Kershner, Jim, from the HistoryLink website. 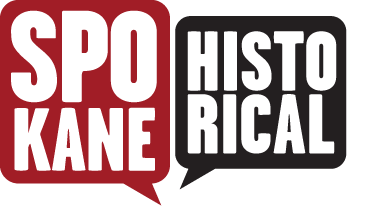 "Spokane's Japanese Community," available at http://www.historylink.org/index.cfm?DisplayPage=output.cfm&file_id=8048.